The Grand Final was set around the Country Park of Hetton Lyons. There was two courses set out to challenge todays riders. First up as normal was the U12’s using a smaller course on the flatter land near to the wheel taking in some technical singletrack through the woods. P Errinton was away from the start to hold a gap for the full race over B Dowson. 3rd place went to S Graham after a good battle from the start. There was a great mix of ages and all had a good ride. They all got a goodie bag afterwards. 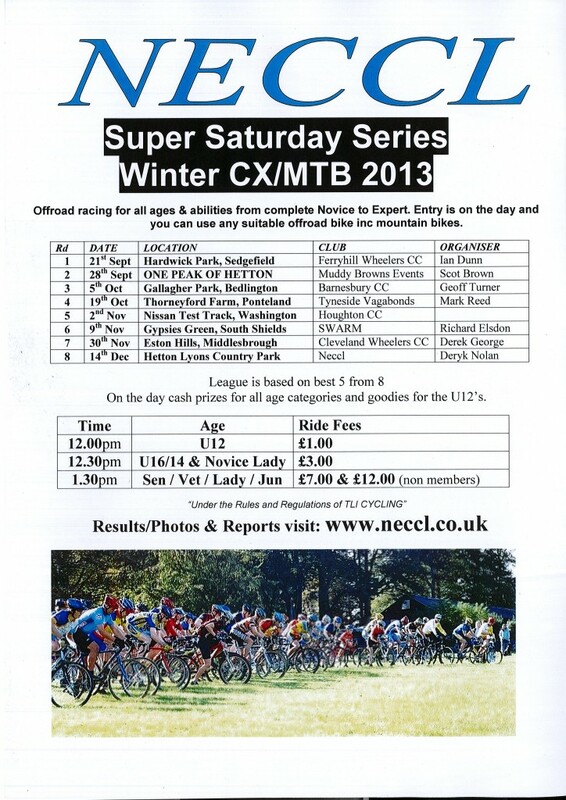 On to the U16/14’s racing on the full adults course J Howard led from start to get 1st U16 & A Brown came in 1st U14. Again all riders were presented with cash & goodie bag. Onto the main race and wind was picking up & starting to cloud over but the course held up very well considering with only a couple of muddy sections over the long lap of approx 1.60miles. M Worton led from the start with C Ash struggling to catch up but the gap was getting smaller each lap. With a couple of laps to go and a few spots of rain starting to fall C Ash pulled through to take the win. A Burridge had a fantastic race and finished 2nd before going home down under. R Smith was 3rd and 1st V40, G Wells 1st V50, J Carr 1st V60. Full results are done & overall League tables will be done asap, you can find them in the Results Section. 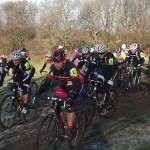 Photos of todays action are here https://picasaweb.google.com/neccl247/NECCLRD10HettonLyons . Many thanks to G Turner and all the helpers on the day. Also a thank you to Springboard / Sunderland Council for the use of the Country Park. AGM Minutes will be published in the Meeting Section asap. There are still a few Trophies missing, can you return your Trophy back asap. 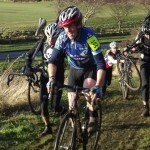 Rd9 Eston Hills Race Report, Pics & Results. Rd 9 Eston Hills, Middlesbourgh. 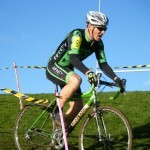 Rd7 Race Report, Results & Photos. What a day, glourious sunshine, strong breeze blowing over the top of the venue! and Santa made a guest apperance as well. After 3 days near solid rain the course was in fantastic condition with no deep mud anywhere. The conditions were very fast under tyre and with every type of cx terrain you could possibly expect with steps, run ups, off chamber corners, sandpit (which was great fun), drop offs etc. First off were the U12’s on a shortened course but still testing inc the sandpit. Again B Dowson led from the strat and came in first in 12.30mins covering 6 laps. There was great battle for 2nd & 3rd between A Grahma & A Brown until the last lap when Sam pulled away to get 2nd followed by A rran 3rd overall & 1st U10. They all went away with a good hanful of goodies as its nearly Xmas. Onto the U14/16’s was based on the full course and F Roberston led from the start to take 1st overall and 1st U16 in 28.12mins covering 5 laps. 2nd was N Hamilton, 1st U14, then 3rd R Stoves, 2nd U14 and then 3rd U14 A Brown. Again all went away with cash and a handful of Xmas goodies. Many thanks to Andrew Burridge & all his heplers for organising the round. Also a thank you to South Tyneside Council for the use of Gypsies Green and all the facilities. 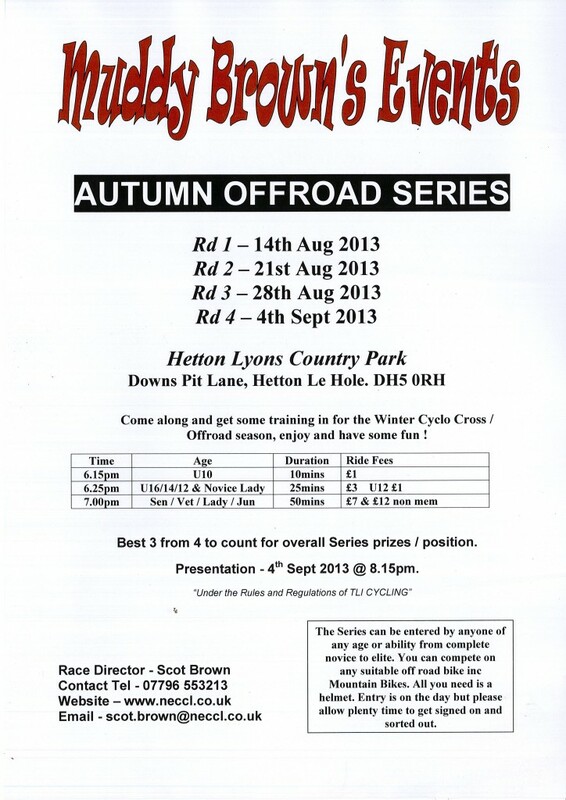 RD6 Hetton Lyons Race Report, Results & Photos. 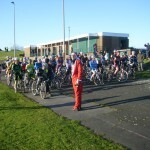 What a craking days racing at Hetton Lyons with glorious sun shine most of the day. The day events started with the U12’s on a fantastic new course with loads of varity in terrain and a great mix of all ages. B Dowson U12 led from the start and was strong all the way through to come in first place. There was a great battle with three riders finally splitting up near the end of the race with J Wilson U12 taking 2nd & A Brown 3rd (1st U10). J Case was 1st U8 coming in 7th overall. They all went away with some goodies. Then it was onto the older kids on the main course (apart from one section) which tested their strength and riding skills. T Tanfield U14 led from the start and the gap grew bigger each time between 2nd place J Blenkinsopp U16. 3rd overall was J Watts U14. Again there was cash prizes and goodies for the rest. Main race started on the tarmac loop before turning off onto the full course. J Mann was giving D Binks a hard time until a couple of laps to go before the bell when D Binks pulled away to take the overall win (1st Sen) in 49min covering 8 laps. J Mann came in a fantastic 2nd overall in 50.19 and the probably the best rider of the day was young F Clartherty (U16) coming in 3rd overall on a mtb! 2nd Sen W Brown (4th Overall), 3rd Sen A Burridge (5th overall), 1st Jun K Watts (10th overall), 1st V40 R Honour (6th overall), 1st V50 G Turner (14th overall), 1st V60 J Carr (25th overall) and on a SS! Cash prizes were handed out at the presentation. Full results are in the Results Section. League tables are updated now. 500 Photos are here – https://picasaweb.google.com/neccl247/NECCLRD6HettonLyons Many thanks to Deryk Nolan and all the helpers on the day. Also a big thank you must go to John & and the staff from Springboard for the use of the land & facilities. Rd5 Whitby Report, Pics & Results. RD5 Sun 9th Dec 2012 – Whitby. Well the weather finally broke for the event today with no signs of any frost/ice and snow all gone. The sun was out but so was the wind but then again you cannot have everything. The course around the grounds of the school was challenging with steep climbs, fast descents, switch back corners, hurdles etc and the ground held up very well . The winners on the day were U12 A Brown, U14 A Brown, U16 F Clatherty, 1st Sen C Ash, 2nd M Lewis, 3rd D Binks, V40 R Honour, V50 G Turner, V60 D Mclean, Jun E Davidson full results are in the Results Section. Photo gallery here – https://picasaweb.google.com/neccl247/NECCLRD5WHITBY many thanks to Rob and Tom and all the helpers from Malton Wheelers CC. Also a big thank you to Caedmon School for use of the facilities & grounds.